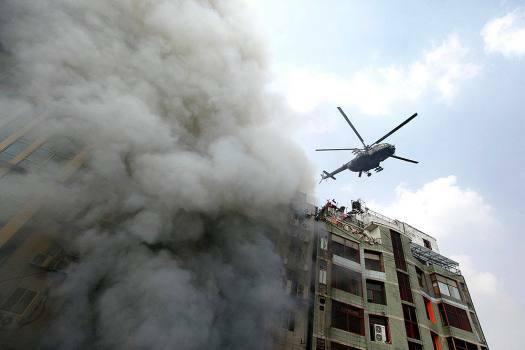 A chopper hovers to evacuate people stuck in a multi-storied office building that caught fire in Dhaka, Bangladesh. 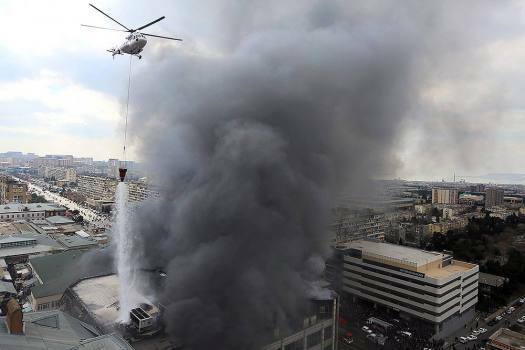 A helicopter drops water on a fire at Diqlas market in Baku, Azerbaijan. 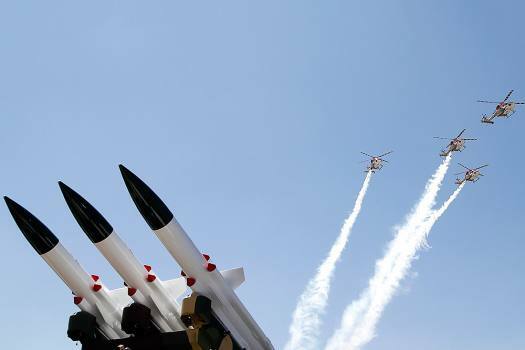 The cause of the fire was not immediately clear. 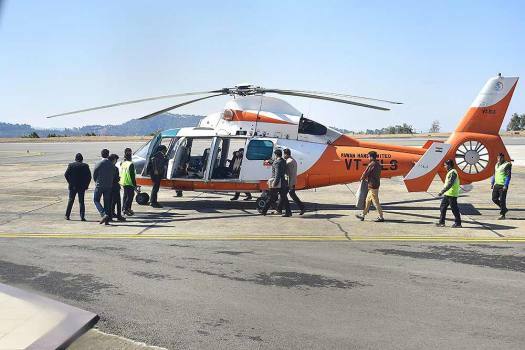 A helicopter prepares for the first interstate helicopter service between Shimla-Chandigarh under ‘Udaan-2’ scheme, at the airport in Shimla. 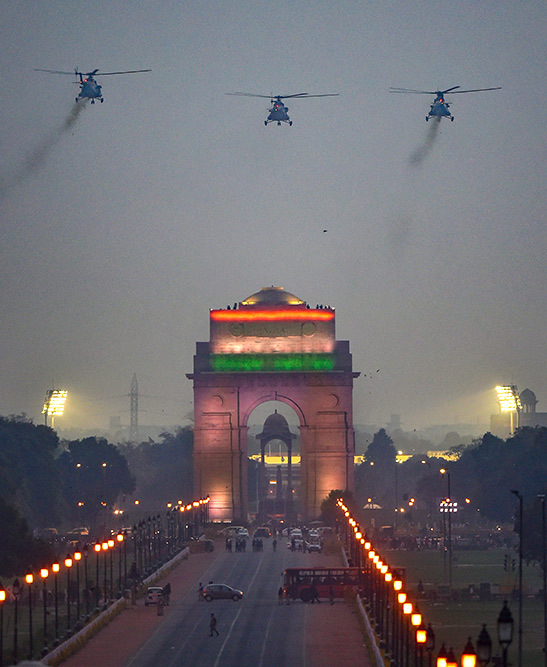 IAF choppers fly-past to shower flower petals on the National War Memorial (NWM) during its inauguration ceremony at India Gate complex in New Delhi. 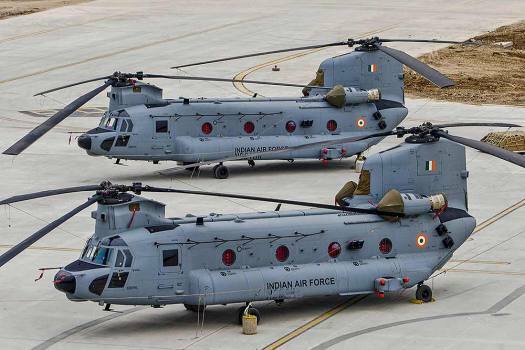 Parked Army helicopters during the last day of the 12th edition of AERO India 2019 at Yelahanka air base in Bengaluru. 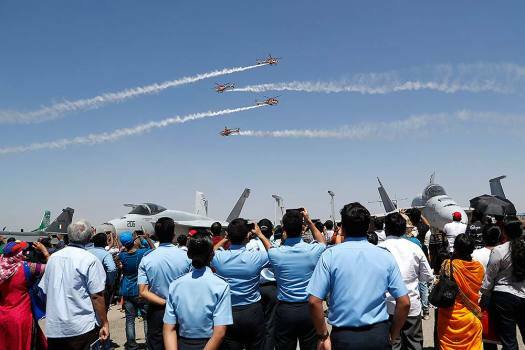 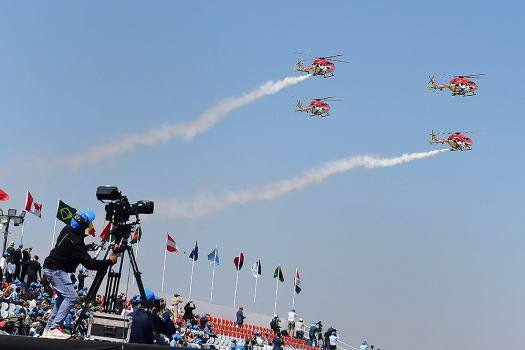 IAF's Sarang display team performs on the last day of the 12th edition of 'AERO India 2019', at Yelahanka Air Base in Bengaluru. 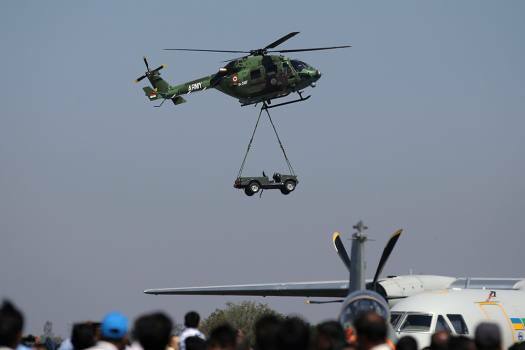 An Indian army helicopter lifts a jeep during a demonstration on the third day of Aero India 2019 at Yelahanka air base in Bangalore. 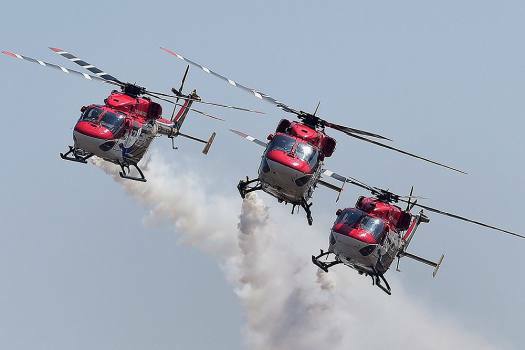 IAF's Advanced Light Helicopters (ALH) perform on the third day of the 12th edition of AERO India 2019, at Yelahanka Air Base, in Bengaluru. 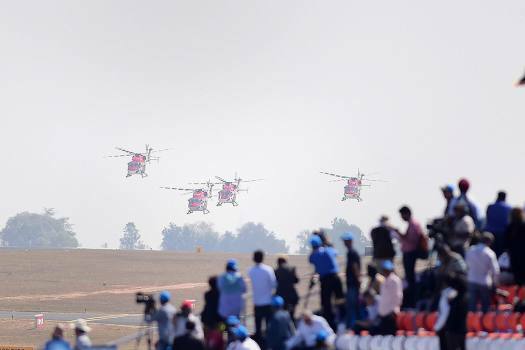 Indian Air Force helicopters perform aerobatic maneuvers on the inaugural day of Aero India 2019 at Yelahanka air base in Bangalore. 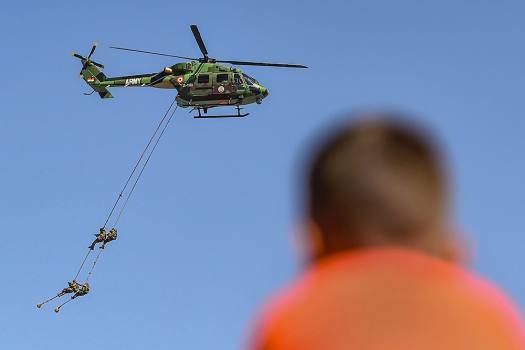 Indian Air Force (IAF) Bambi bucket ops to put out large fires during the IAF " Vayu Shakti 2019" at the Air Force field firing range of Pokhran, Rajasthan. 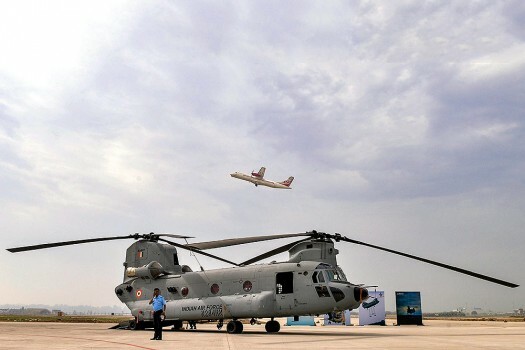 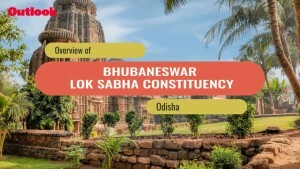 Minister of State for Civil Aviation Jayant Sinha said that it is no longer a policy issue but a question of entrepreneurship. 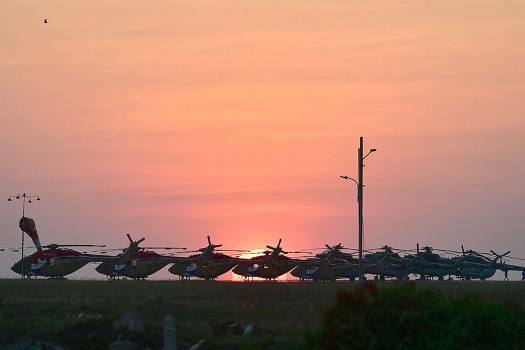 Two Chinese helicopters crossed the Line of Actual Control (LAC) between China and India violating the country's airspace. 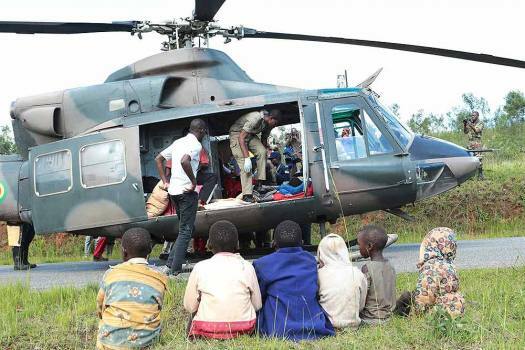 Altitude Air helicopter which had gone missing since this morning crash-landed in the forest. 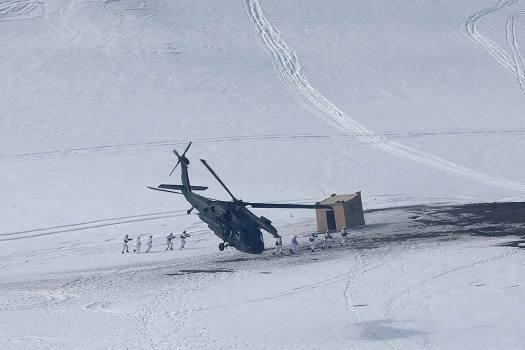 The chopper was scheduled to land at Jhoteshwar at 10.30 am. 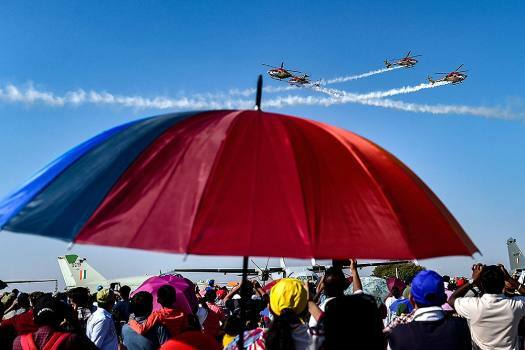 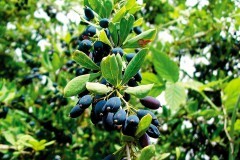 But the pilot wrongly landed it in a field at Kodsa village after losing the flight path. 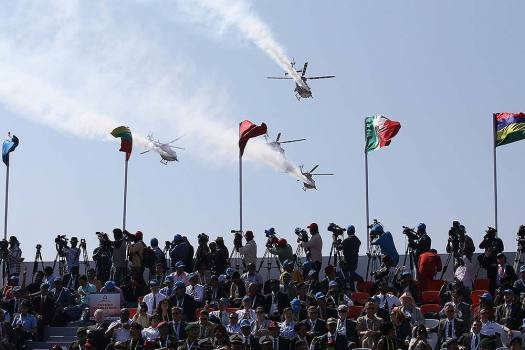 The 10 Kg helicopter, runs on a 2-stroke petrol engine and can carry a payload of 2.5 kg.